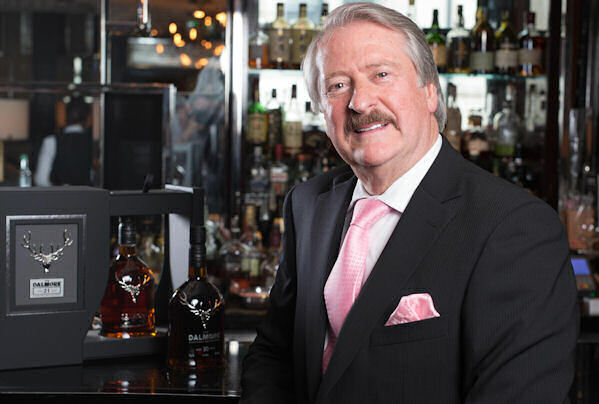 Richard Paterson, one of the world’s most loved whisky experts, has achieved yet another milestone in his illustrious career, as he celebrates 45 years in the whisky industry. Richard’s unwavering dedication to whisky began when he followed his Grandfather and Father into the industry. Richard honed his craft at A. Gillies & Company Whisky Blenders & Brokers where he worked as a production assistant, learning the art of whisky distilling and blending. He then joined Whyte & Mackay, becoming their Master Distiller at the age of just 26. Over the last 45 years his innate ability to assess and taste whisky has earned him the nickname of ‘The Nose’. He has a reputation as both an exceptional whisky creator and an illustrious showman. He is loved by whisky fans the world over and has been responsible for creating some of the world’s most iconic whiskies such as The Dalmore Trinitas, the Mackinlay’s Shackleton blend and of course Whyte & Mackay Blended Scotch.